Beautiful Atlantic Ocean vistas, fabulous amenities, relaxing days on the beach—it is all part of an unforgettable North Myrtle Beach, South Carolina vacation at Crescent Dunes. 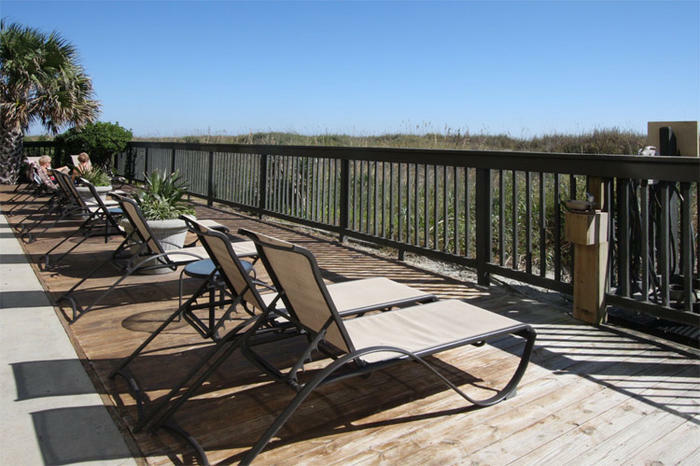 This oceanfront North Myrtle Beach resort offers beautiful vacation rentals of various sizes, all with oceanfront balconies, so you and your guests can soak up the gorgeous ocean views and the refreshing breezes coming off the ocean. A North Myrtle Beach vacation at Crescent Dunes allows you to de-stress and unwind, but when you are ready to head out into town and explore all of the North Myrtle Beach attractions, golf courses and restaurants you will find them just around the corner! The convenient beach location of Crescent Dunes allows you and your guests to experience all of the fun water activities that you are looking forward to on your North Myrtle Beach vacation. Whether you are into fishing, shelling, surfing, parasailing or just tanning, all you have to do is head a few steps down a short path to find yourself on the sandy shores of the Atlantic. You and your guests can spend hours in the sun and surf, with the added convenience of being able to pop back into your North Myrtle Beach condo for that forgotten sunscreen or extra beach towel. The vacation rentals at Crescent Dunes come complete with everything you need for a comfortable and enjoyable North Myrtle Beach vacation. Even though there are more than 1,500 restaurants in this area of South Carolina, you will appreciate having your own fully-equipped kitchen at Crescent Dunes. For extra convenience, these vacation rentals come equipped with both wireless Internet access and a handy washing machine and clothes dryer—all the comforts of home! Crescent Dunes offers its guests a charcoal grilling and picnic area—throw some burgers on the grill, mix up some cocktails and have your own North Myrtle Beach luau! The shimmering swimming pool at Crescent Dunes overlooks the ocean and is surrounded by beach chairs, so you can settle in with a magazine and let the hours float lazily by. This exciting area of South Carolina has something to entertain every member of your group, from beautiful golf courses, top-notch entertainment, outlet shopping, and an unlimited restaurant selection, and Crescent Dunes is close to it all! Staying at one of our comfortable vacation rentals lets you choose your own North Myrtle Beach adventure!